Motivation is a funny thing. One day you’re full of it, while the next you don’t want to get out of bed. It’s pretty interesting if you think about it. The important thing to realize is we have a lot more control over it then we think. It’s our mindset and perception more than anything. So, what is your motivation? Recently, I ran my first 6-mile trail race. Honestly, I’m not a big fan of distance running and usually stick with it for a few weeks and then my interest fades. It really doesn’t appeal to me like other sports. But, I think it was the thought of having an event or a deadline to prepare for. I haven’t had this in years. For those days when I could normally justify taking the day off and just pick back up tomorrow, I was forced to get in my exercise because the event was fast approaching. The point is, sometimes it takes more then just a list of goals and a plan to keep us on track. We need to find other sources of motivation, whether that be a 5k walk, a half-marathon, or maybe joining a recreational sports league. The other side is realizing what your goals actually mean to you. If weight loss is one, ask yourself, “WHY is that important to you.” Is it really just a number on a scale that you’re striving for? Or, do you want to feel better in order to have more energy and increase productivity at your job. Or, maybe it’s to finally be able to chase your kids around the house without getting winded. Whatever the reason may be, motivation and true desire will keep us on track towards achieving our goals. 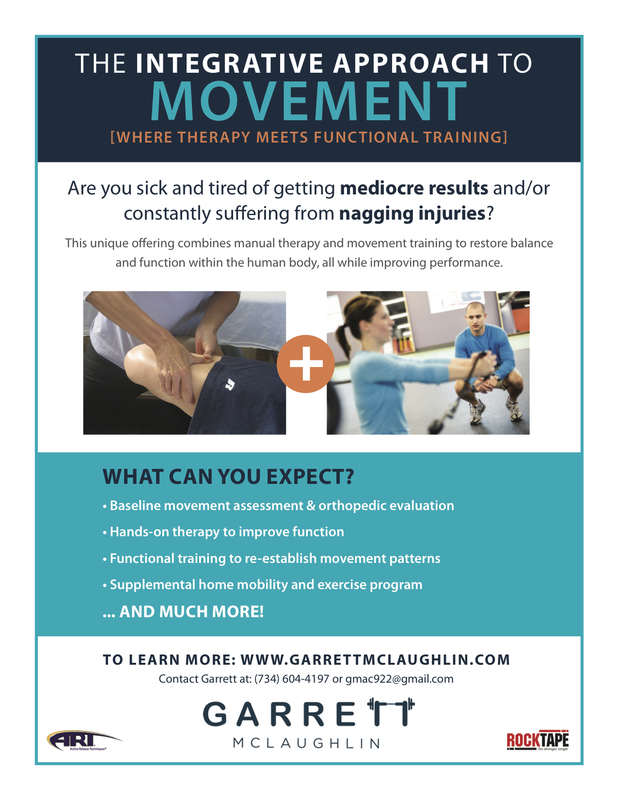 Garrett McLaughlin is an Athletic Trainer, Personal Trainer, and Certified Active Release Techniques Provider in the Greater Nashville area. In addition to fitness and rehabilitation, Garrett coaches his clients to make improvements in the areas of nutrition, exercise, stress relief, and sleep management. For more information, contact Garrett.